For the last three years we have been invited to join Cheam Rotary’s Santa Sleigh Charity Collection. 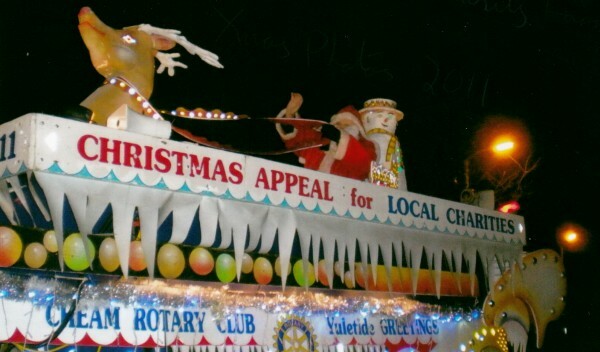 Since 1966, Cheam Rotary, Santa and volunteers from local organisations take to a giant Santa Sleigh to raise funds for local charities and organisations. We follow a route through Cheam to households that are eagerly waiting for Santa. It’s a lovely evening, bringing smiles to many families in the community, while raising money for good local causes. We are looking for volunteers to join us for the collection this Friday, 12th December. Meeting time and duration: 5.45pm for a 6pm start. We will walk for about 1 hour 15 minutes. Until about 8.15pm. What to bring? Warm clothes and appropriate footwear as we will be walking outside.